The Basel Committee on Banking Supervision (BCBS) is a committee of banking supervisory authorities that was established by the central bank governors of the Group of Ten countries in 1975. It provides a forum for regular cooperation on banking supervisory matters. Its objective is to enhance understanding of key supervisory issues and improve the quality of banking supervision worldwide. The Committee frames guidelines and standards in different areas - some of the better known among them are the international standards on capital adequacy, the Core Principles for Effective Banking Supervision and the Concordat on cross-border banking supervision. The Committee's Secretariat is located at the Bank for International Settlements (BIS) in Basel, Switzerland. However, the BIS and the Basel Committee remain two distinct entities. The Basel Committee formulates broad supervisory standards and guidelines and recommends statements of best practice in banking supervision (see bank regulation or "Basel III Accord", for example) in the expectation that member authorities and other nations' authorities will take steps to implement them through their own national systems. The Basel committee along with its sister organizations, the International Organization of Securities Commissions and International Association of Insurance Supervisors together make up the Joint Forum of international financial regulators. The present Chairman of the Committee is Stefan Ingves, Governor of the central bank of Sweden (Sveriges Riksbank). William Coen is the current Secretary General of the Basel Committee. Committee members come from Argentina, Australia, Belgium, Brazil, Canada, China, France, Germany, Hong Kong SAR, India, Indonesia, Italy, Japan, Korea, Luxembourg, Mexico, the Netherlands, Russia, Saudi Arabia, Singapore, South Africa, Spain, Sweden, Switzerland, Turkey, the United Kingdom and the United States. The Committee's Secretariat is located at the Bank for International Settlements (BIS) in Basel, Switzerland. 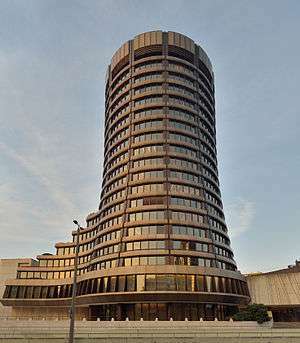 However, the BIS and the Basel Committee remain two distinct entities. The Committee published its definition of a politically exposed person (PEP) as those "entrusted with prominent public functions, including heads of state or of government" in 2001. just after the Wolfsberg Group had published theirs in their first meeting in 2000. The FATF addressed the definition of a PEP in their 2003 recommendations. ↑ Marrison, Chris (2002). The Fundamentals of Risk Measurement. New York, New York: McGraw Hill. pp. 340–342. ISBN 0-07-138627-0. ↑ "Chairmen of the Basel Committee". www.bis.org. 2013-04-22. Retrieved 2016-03-11. ↑ "Press release: William Coen appointed as the next Secretary General of the Basel Committee". www.bis.org. 2014-04-23. Retrieved 2016-03-11. ↑ David Pallister and Owen Bowcott (16 July 2002). "Banks to shut doors on Saudi royal cash". The Guardian. Retrieved 12 February 2015.